We now live in a country where more than half of the families who don’t have a home to call their own are working. Despite holding down jobs, parents are still unable to access secure housing for themselves and their children because of a housing and welfare system so broken by this Conservative government. There are more than 33,000 families who live in temporary accommodation despite holding down a job – and this figure has leapt up 73% since 2013. Shelter’s investigation, which has uncovered these figures, should be praised. But as one of the richest countries in the world, it is utterly mind boggling that we have got here. Under the Tories’ watch, this scandal is just getting worse. Although the Conservative government keeps telling us otherwise, employment is no longer providing a route out of poverty. Instead it is leaving families stuck in accommodation that in many cases is unsuitable, overcrowded and in poor repair. Temporary accommodation is all too often nothing of the sort. Recently a case with the Local Government and Social Care Ombudsman found a mother and her five small children were dumped in a damp, mouldy, single bedroom, with no heating and left there for nine months with no indication of a more suitable place becoming available – let alone permanent housing. Read any of the evidence of what living in temporary accommodation means for children, and the impact that it has on them – their wellbeing, their school work and their health – and you will encounter shocking stories. A recent report from the Children’s Rights Alliance detailed children’s own experiences from living in housing that was often unsafe, dirty and overcrowded. Those children told of shared bathrooms with other B&B residents, an unsafe atmosphere, sexual harassment from other residents, a kitchen consisting of just a microwave and kettle. These are conditions that we would not expect from a private landlord, and yet the state is shelling out billions (£3.5bn in the last five years) to put people, families, working families in housing like this. This utter failure uncovered by Shelter must not be detached from the wider context of the housing crisis. Home ownership is at a 30 year low, social housebuilding is at record lows and private rents are totally out of control. The biggest cause of homelessness is now – perversely – the end of assured shorthold tenancies. For 27% of households accepted as homeless last year, the cause was the end of a tenancy. The next time Theresa May crows about record unemployment lows, remember this: people may be in work, but the work is not paying. Labour would solve this broken system. We’d build the homes that Britain desperately needs, including giving councils access to the powers and resources they need to build what is needed in their communities, make sure affordable really means affordable, we’d give tenants a stronger voice and better rights and we’d limit the rises that private landlords can impose in rent. We would take the responsibility that this Conservative government ignores, and make sure that our citizens are decently and affordably housed in a place we would all be proud to call home. 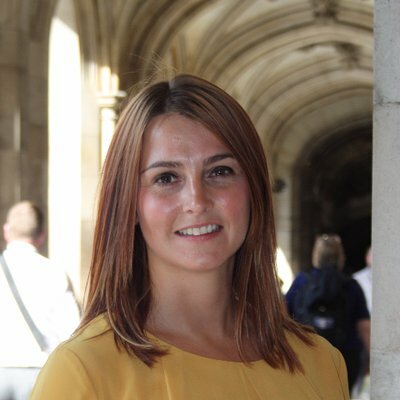 Melanie Onn is MP for Great Grimsby.